We went to physical therapy that day. And the therapist had been working on your balance and standing for a while. Probably months. We had been trying to get you to walk independently. All of a sudden you walked from the PT to me. It was about 4 steps. Unassisted. So we decided when your dad came home that night that you would tell him you had a special present for him for our anniversary. The present was you demonstrating that you could walk. By yourself. A few steps. You were 4 years old. It was a wonderful 15th anniversary present. We look back to see where we’ve been and how much we’ve grown. When you are born with a disability, a lot can change over time. I asked my parents to tell me the above story last night. I didn’t know all of the details and I wanted to hear their version. I listened and I typed as my mom spoke. The day in the story was June 30. Now that is a day also set aside to honor the condition I was born with — Arthrogryposis. Last year I celebrated my first Arthrogryposis Awareness Day. We went through a series of questions and answers. I gave you a Peek into My (un)Limited Life. If you missed it, please go back and read the posts (Part One — Part Two — Part Three — Part Four). We covered a lot of details and depth about living with a physical disability. Today I am excited to honor the day once again. And I’m gathering with other bloggers to share more about Arthrogryposis and how it shapes our days, our needs, and our sense of what it means to thrive. Come back to read their posts. They will be linking up here on my blog. And go spread a little awareness for and with us. 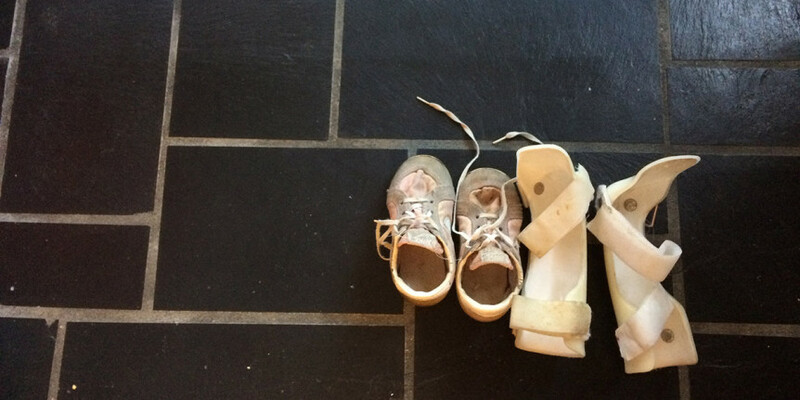 Read Understanding Arthrogryposis and A New Normal, part two.